Terrorist act leaves 3 dead, several wounded, gunman on the run in France! A shooting that took place in Strasbourg, France leaving 3 dead and several wounded is being treated as a terrorists attack. As you can imagine with strict gun laws the citizens were left unable to defend themselves. Interestingly enough this very topic had been brought to light Ironically by CNN after the Charlie Hebdo shooting. 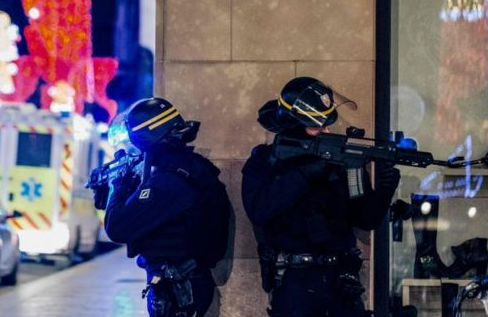 The men who attacked Charlie Hebdo were carrying Kalashnikov rifles. Such weapons are highly restricted and not available to civilians in the country. The punishment for having an illegal weapon in France is a maximum of seven years in prison and a fine. So why didn’t the strict gun control laws stop this shooting? Maybe its because gun control DOES NOT STOP CRIMINALS. It certainly seems to have prevented law abiding citizens minding their own business from defending themselves though. Fox News Reports A shooting in Strasbourg, France, on Tuesday killed three people, wounded at least 11 others and is being treated as an act of “terror,” police and government officials said, adding that the gunman is on the run. Of the 11 people, seven of them were badly injured and four suffered minor wounds, the officials said. It was not immediately clear what may have sparked the event. Starting today Possession of ‘High Capacity’ Magazines is a Fourth Degree Felony!